How to generate interest from former tennis players who haven’t visited the area tennis clubs for a while? Remind them that it’s been too long, and do it with a smile. 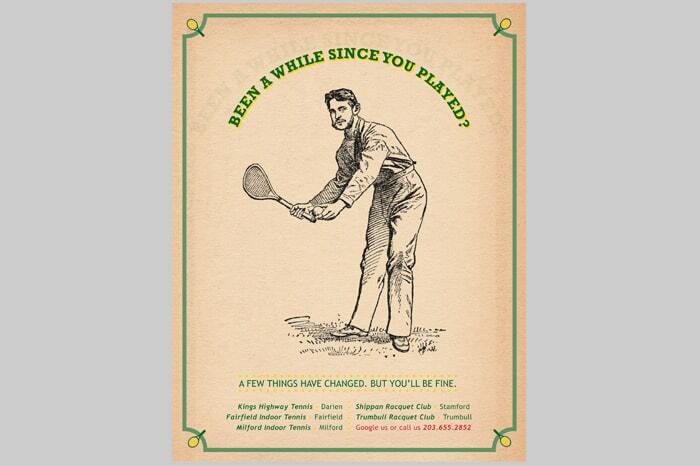 As an ad, and poster, this simple approach did the trick – inquiries rose significantly, so did league and membership sign-ups.